Jerald “Jerry” Owen Luedtke, 75, of Byron, passed peacefully on Friday, October 26, 2018 after a week’s battle with cancer. He was born on June 25, 1943 to Owen S. and Naomi Luedtke ((nee Kuen) in Fond du Lac, WI. He was Baptized and Confirmed at St. Paul’s Lutheran Church in Brownsville, WI. Jerry graduated from Lomira High Scholl in 1961 and served two years in the U.S. Army, being Honorably Discharged in 1966. He married Karen Lynne Eggleston on August 5, 1967 in Green Lake, WI. He was a third-generation dairy farmer on the original homestead in Byron, WI, until 2000 and then continued to cash crop, loving the time spent planting and harvesting his crops. 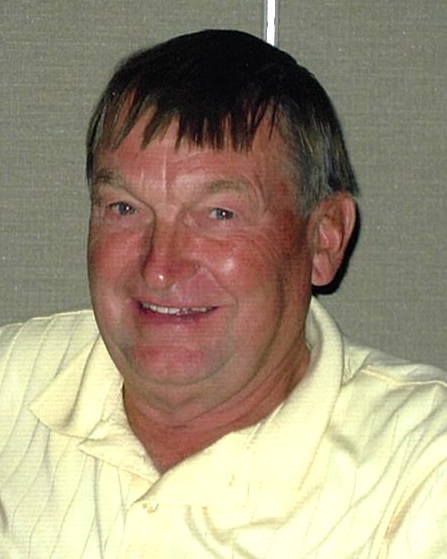 Jerry was a lifelong member of St. Paul’s Lutheran Church; past Chairman and 20 year member of Byron Town Board of Appeals; past County President and 20 year member of NFO; was the owner/operator of Luedtke Insurance Agency since 1975; sold Delkalb Seed products from 1975 to 2005; was agent and Board of Directors member of Ashford Mutual Insurance from 1975 to 1997; and agent for Wilson Mutual Insurance Co., Sheboygan from 1997 to 2018; was a member of the Empire Threshing Association and bowled for over 40 years on Monday night at the Brownsville Bowling Alley. Jerry loved to bowl and play volleyball, along with watching the Badgers and Packers and his children and grandchildren participate in sports. He was an avid collector of IH toys, vintage IH tractors along with vintage cars. He loved attending antique tractor shows and auctions wherever they were held as well as always attending the Power Show every year. Jerry and Karen enjoyed wintering in Winter Haven, FL since 2009, making many new friends from all over the U.S. and enjoying the warm weather. He is survived by his wife of 51 years, Karen; son, Todd Luedtke of Fond du Lac; daughters, Lauri Luedtke of Fond du Lac and Traci (Eric) Haren of Batavia, IL; eight grandchildren, Jackson, Grant, Liberty, and Maddoxx Luedtke, Bentley and Hudson Beck all of Fond du Lac, and Haley and Harper Haren of Batavia, IL. He is further survived by his brother, Larry Luedtke and sisters, Rosalie and Cindy Luedtke all of Fond du Lac; as well as nieces, nephews, other dear family members and friends. He was preceded in death by his parents, sister, Betty Lee Reigel; in-laws, Gordy (Coach) and Lila Eggleston; and sister-in-law, Susan Thurston; and brother-in-law, Fuzzy Thurston. A memorial service in remembrance of Jerry will be held on Tuesday, October 30, 2018 at 6:00 p.m. at St. Paul’s Lutheran Church, 605 Highland Ave. Brownsville, WI. 53006. The Rev. William Carter will officiate. Military Honors will follow the service. Jerry’s family will greet family and friends on Tuesday at church from 2:30 p.m. until the time of the service. Private burial will take place at Byron Cemetery. Because of Jerry's love for red tractors, red trucks, and red cars, please wear red on Tuesday to honor his memory. In lieu of flowers, memorials are appreciated to the Byron Veterans Memorial or to St. Paul’s Lutheran Church. Jerry’s family would like to thank the staff on the third floor of St. Agnes Hospital for their care and support and also the family and friends who volunteered their time and labor to harvest Jerry’s last crops. The Myrhum Patten Miller and Kietzer Funeral Homes have been entrusted with Jerry’s arrangements. Additional information and guest book may be found at www.myrhum-patten.com.